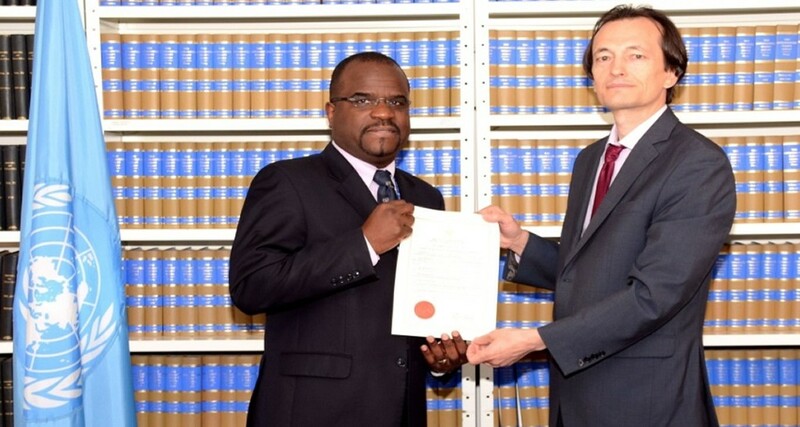 Trinidad and Tobago has ratified the United Nations Convention on the Rights of Persons with Disabilities. A release issued yesterday by the Ministry of Communication stated that T&T now joins 155 other nations which have also ratified the Convention. The ratification instrument was deposited on 25 June 2015 to the United Nations Headquarters by Eden Charles, this country’s Ambassador Extraordinary and Plenipotentiary and Chargé d’ Affaires to the UN. In her first address to the United Nations in 2010, the Prime Minister championed the rights of persons living with disabilities saying there was a critical need to close this gap in the protection of the human rights. The Convention will come into force for Trinidad & Tobago and become law in 30 days following the deposit of the instrument, which was signed by Foreign Affairs Minister, Winston Dookeran, and received by Andrei Kolomoets, representative of UN Secretary General. Also present at the ceremony was Ambassador Dennis Francis, Director of the Multilateral Relations Division of the Ministry of Foreign Affairs, and Melissa Boissiere, Second Secretary and Human Rights Desk Officer at the Permanent Mission to the United Nations, New York.